The most common complaint that we hear about CBD oil is the taste of the sublingual drops. Pure unfiltered CBD oil, extracted from the stalks, seeds and flower of plants like hemp, has a taste that is commonly described as nutty, earthy or grassy. The flavor and scent of hemp oil comes from the organic compounds that dominate the plant’s makeup, including natural terpenes, chlorophyll, cannabinoids, and other nutritious material. While some actually like what is typically an “earthy” taste, others find the taste unbearable. 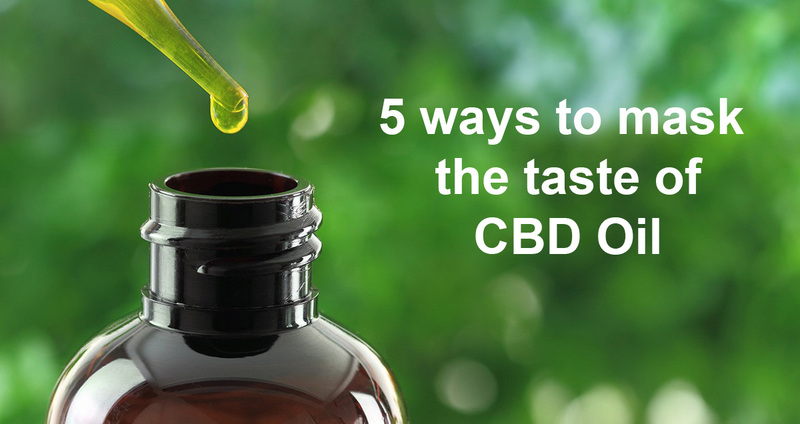 Luckily there are some things you can do to mask the taste of CBD oil. The purpose of this article is to summarize some of the ideas that we’ve heard from others. For starters though, let’s quickly review one of the golden rules of taking CBD oil drops. In order to gain the benefits from CBD, you need to keep the drops beneath your tongue 60-90 seconds before swallowing, allowing the compound to be absorbed into your bloodstream. Allowing enough time for the drops to absorb under your tongue can improve effectiveness because the bioavailability of sublingual use is much higher than oral consumption.